Are Americans Fully Committed to Democracy? 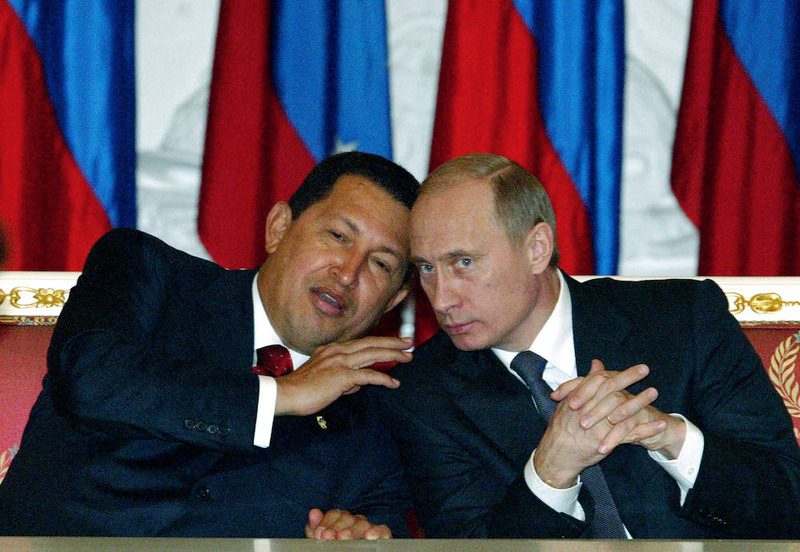 Russia's President Vladimir Putin, right, and Venezuela's President Hugo Chavez talk during a meeting in Moscow's Kremlin in 2004. Photo by Mikhail Metzel/Associated Press. With the defeat of fascism in World War II, then of communism in the Cold War, and with the general decline of various other forms of military, one-party, and personal (strong-man) dictatorships since the mid-1970s, democracy came to be seen globally as the one truly legitimate form of government. But there is a difference between popular acceptance of a regime in the absence of any immediate alternative and a deep popular commitment to its moral worth. Monument to Humanity was a nearly completed statue in Turkey that depicted two humans reaching out to each other. After Recep Erdoğan criticized the monument, while still Prime Minister, the statue was demolished in 2011. Photo courtesy of Ggia/Wikimedia Commons. Lipset, a sociologist and leading theorist of American democracy, and other social scientists have also distinguished between what we call “performance legitimacy” and “intrinsic legitimacy.” The former is more superficial: People support a political system because it works for the moment to maintain order, generate economic growth, and produce other public goods. But the danger with legitimacy that is based purely on performance is that it can evaporate when the performance goes bad. A democracy is thus only truly “consolidated” when most of its citizens come to believe that the constitutional system is the most right and appropriate for the country, irrespective of how well it performs in any given period of time. Lipset argued that once democracies had functioned well over an extended period of time, they would build up a reservoir of intrinsic legitimacy that they could draw on in difficult times. But what happens if “difficult times” last a very long time? Political legitimacy has many possible sources. As the German sociologist Max Weber wrote, legitimacy may be based on tradition—people see authority as morally right because it has a long and deeply rooted historical vintage. It may be forged by the personal charisma of a transformative leader, whether democratic, such as George Washington or Nelson Mandela, or autocratic, such as Lenin, or Fidel Castro, or Ayatollah Khomeini. But charismatic authority is fleeting, as it depends on a personality. The ultimate guarantor of any democracy is that its citizens are committed to it unconditionally—again, independent of what it produces for them at any moment in time and of whether the party they favor is in power or not. A reasonable minimum threshold for democratic consolidation is that no less than 70 percent of the public express commitment to democracy as the best form of government, and no more than 15 percent of the public express support for an authoritarian regime option. This is a tough standard that is met by only a few democracies outside the West. We have generally presumed that popular support for democracy remains extremely high in the established Western democracies. However, recent analysis by Roberto Foa and Yascha Mounk, published in the Journal of Democracy, shows that support for democracy in the U.S. and Europe has declined over the last 20 years in almost every age group, and that the young are the most skeptical (with more than 20 percent of those below age 35 saying that “having a democratic political system” is a “bad” or “very bad” way to “run this country.”) Moreover, the percentage of Americans saying it would be good or very good for the “army to rule” rose from about 6 percent to 16 percent between 1995 and 2011. More disturbing still, the percentage of Americans who answer that having “a strong leader who does not have to bother with parliament and elections” increased in this same period from about 20 percent to 34 percent. Most of the countries surveyed by the World Values Survey between 2010 and 2014 showed similar increases. In fact, in all of the advanced industrial democracies surveyed in this period, support for a “strong leader” is at or above 20 percent (for example, 21 percent in Germany, slightly above a quarter in Sweden, Australia, and the Netherlands, and 40 percent in Spain). 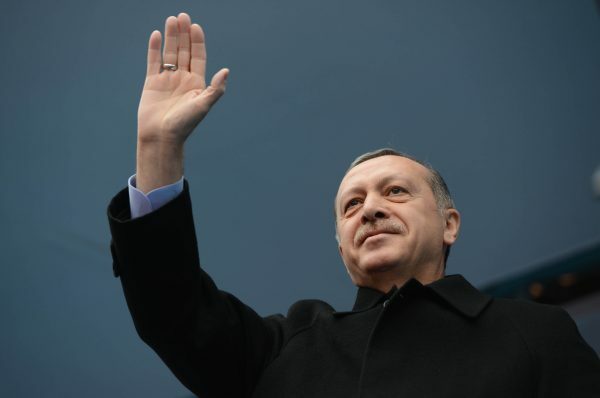 President of Turkey, Recep Tayyip Erdoğan waves to the crowd on Mar. 1, 2014. Despite being a democracy, Turkey has been internationally criticized for human rights violations and suppression of free speech under Erdoğan’s rule. This is a playbook that has been utilized in the last two decades by a number of “strong leaders” who came to power in competitive elections and then proceeded to dismantle checks on their executive power—and eventually the ability of opposition parties to challenge them on anything like a level playing field. The early practitioners of this incremental assault on democratic constraints were Vladimir Putin in Russia and Hugo Chavez in Venezuela. In the early 2000s, Thaksin Shinawatra pursued a similar path in Thailand, but the military overthrew him before he could consolidate power. More recently, Recep Tayyip Erdoğan in Turkey and Viktor Orbán in Hungary have gradually strangled democratic pluralism in their countries. The Law and Justice Party led by Jarosław Kaczyński in Poland is attempting to do the same in Poland, but it lacks the parliamentary strength to amend the constitution to rig the system in favor of the ruling party, the way Orbán did in Hungary. It is important to note that all the instances of “creeping autocracy” have been accomplished in political systems that lacked the long duration, deep historical roots, and strong countervailing institutions that characterize the democracies of North America, Western Europe, Australia, New Zealand, and Japan. It would be a much greater shock if any of these democracies were to succumb to the wave of (largely right-wing, nativist) populist authoritarianism sweeping through Central and Eastern Europe and several developing countries, most recently the Philippines since the election of Rodrigo Duterte last year. In the long-established democracies, the institutional underpinnings of democracy are much stronger. But institutions in the end are rules and patterns of behavior that are perpetuated by people and must be defended by people. If people abandon the unconditional commitment to democracy as the best form of government, if they come to put short-term programmatic or partisan advantage above the most fundamental rules of the democratic game, then democracy will be endangered. Political polarization—which has been steadily increasing in the United States—facilitates this slide toward the autocratic abyss, because it makes politics a zero-sum game in which there is no common ground uniting opposing camps. Therefore anything can be justified in the pursuit of victory. Over the last century, this dynamic of polarization eroding the rules of the democratic game, paralyzing the democratic process, and paving the way for a strongman has been a common scenario for the failure of democracy. If there is a lesson that stretches across the history and the public opinion data, it is that nothing should be taken for granted. The laziest and most fatal form of intellectual arrogance is to assume that what has been will continue to be, simply because it has a long history. Legitimacy is nothing more than a set of individual beliefs and values. If we do not work to renew those beliefs and values with each generation, even long-established democracies could be at risk. Larry Diamond is a senior fellow at the Hoover Institution and the Freeman Spogli Institute for International Studies.